A RE/MAX Executive Sales Associate can help you through the entire process of buying a home, starting with the mortgage and continuing right through closing – and beyond. He or she can help you shop for the best interest rate and terms and, if you wish, suggest mortgage lenders. Obtain a copy of your credit report and your FICO score and, if necessary, do what you need to do to improve it. The higher your FICO score, the better interest rate you can command. You can get this information online; your RE/MAX Executive agent can also help you. Contact several lenders and determine which one will give you the best deal. By now you should have a good idea of how much home you can afford. This helps you narrow down your home search. You should also begin researching the neighborhoods in which you might want to live. Your RE/MAX Executive agent can help. Right here on charlotterealestatenc.com, you can find listings that meet your criteria as well as neighborhood data. Identify properties that seem to be fits for you, take an afternoon and go on a driving tour. See what’s available in your price range and explore neighborhoods. Buying a home is probably the largest investment you’ll make in your lifetime. Having an experienced, knowledgeable RE/MAX Executive professional representing you in this transaction just makes good sense. Buying a home is not like buying a car, a mutual fund or other commodity. It can be a life-changing event. 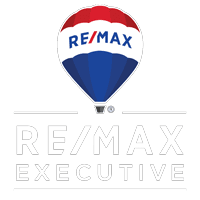 RE/MAX Executive agents fully understand the real estate process – and just as important, they understand your local market. Your RE/MAX Executive Sales Associate also performs another important function: minimizing the emotion involved in a home transaction. You may be in love with a home, but your agent can point out factors that might not make it right for you.